When Simpkinson de Wesselow came to Van Diemen's Land in 1844 to work on the magnetic surveys he became interested in the new landscape surrounding him. He started art classes with Skinner Prout who was working in Hobart. 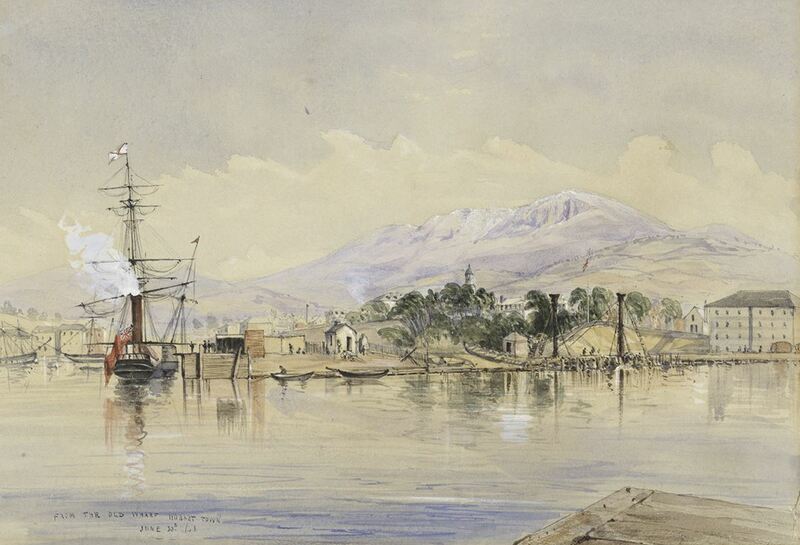 After his return to England he presented a collection of 200 of his paintings to The Royal Society of Tasmania. These paintings are now on long-term loan to TMAG who are exhibiting a number of them to commemorate the Society's 175th anniversary. Speaker Dr Anita Hansen co-edited The Royal Society of Tasmania’s books The Library at the End of the World: Natural Science and Its Illustrators and Poles Apart: Fascination, Fame and Folly, also writing about the artists whose illustrations were featured in the books. She has curated exhibitions in Tasmania and interstate, most recently curating an exhibition for The Royal Society of Tasmania’s 175th anniversary (Louisa Anne Meredith: a remarkable woman), and is co-ordinator of their 175th anniversary committee. Meet in the Royal Society Room (enter through TMAG’s administration door on Davey Street) for a 10.30am start.